I adwcleaner not for mobile, any suggestion for other ? Hello, I live in Spain and the apple store tells me your app is not disponible in my country do you have an alternative? Any relationship between printer and Windows Media Player? I am very new with (a smart) cell phone. I take it from the link that was provided from staff at the start of this forum that drives one to the full promotion for adwcleaner that it was not started with mobile in mind and there is nothing that refers to cell phones. Now, with my first, new smart phone, I am plagued....just plagued with crap getting in my way as I struggle up the learning curve, which just confuses me in my effort to get where I want and when there, sometimes have unwanted in the way. I actually had d/l adwcleaner just a short while ago and then choose an app to go find it. I clicked on adwcleaner and had multiple choices to open it. I choose GooglePlay not knowing which was best. It could not open it. IT WAS THEN that I woke up with the thought adwcleaner is not going to facilitate the execution and probably none will. That is when I recalled the link that staff provided .... FAQ.... which is where I found no reference to cell phones. QUESTION: Doe the malwarebites browser extension calculate to be the best possible for the phone, or is it not mobile available ? Thank you in advance for your suggestions ! Recently I installed MBAE 1.13.1.60 on my Vista 32bit. I could say , it worked well until now. But whenever I power on my printer, it says "Windows Media Player is now protected". Same notification also appears when I power it off. It's a Brother printer with built-in card readers. Is that a correct behaviour? Then not much I can do at this point except wait for justice to find them, and hope the unlock keys are done, then. Glad you solved part of the mystery. I'd advise you to wait for the staff to come to work in a few hours as they will undoubtedly want to try and figure out why you are seeing these anomaly’s. I suspect they will want you download and run a diagnostic program and submit the results outside of this discussion as it is likely to contain information best not publicly posted. This can be understood by only white hack hacker and those who have good knowledge in scanning, itunes error 0xe80000a helped me to get all the possible solution to prevent these issues. And if I find it what do I do? There are three Library folders. Are you sure you looked in the correct one. There is /System/Library, but it's heavily protected, so unlikely to be there. There is /Library which requires an admin password to modify, so possible, but relatively low probability. Then there is /Users/<YourUserName>/Library which is sometimes invisible. Best way to get there is to click on the Go menu in Finder and select Library. Thanks. You can go ahead and run Autoruns again and re-enable those two items by checking the checkbox next each one and they'll load normally the next time your start your system. As for the continuing issue with Malwarebytes not activating, I'm not certain but I suspect either something is blocking the connection or it may be a problem with it not validating its security certificate correctly. Either way I'll request that a member of the Support team take a look and assist. @AdvancedSetup or @LiquidTension could one of you please take a look and assist? Thanks One of the Malwarebytes Support team members should be along soon to assist and hopefully get this issue resolved. Thank you for your continued patience. Hopefully resolving this issue won't take long. I disabled the two Bonjour entries in Autoruns, restarted the computer, and confirmed the entries were still disabled. 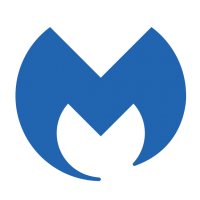 I installed the newest version of Malwarebytes and attempted to activate my license. Unfortunately, I got the same two error messages. App Block runner on top righthand top of screen only disappeared for a day and now every time I start up it comes back. Ran scan and no quarantine shows up, report says app is in Library, looked not there. I can close it for a second to access the new window tab or other tab. What can I do to stop this? Is it a feature? When I click on learn more it does not tell me what to do. The report said it is in the library on April 15, it doesn't give me that info now. Do I uninstall and reinstall Malwarebytes or what, I have version 3.7. It is really annoying, is this a feature, infection, what?! I did a scan and everything was clean. There were no quarantines. When I restarted twice it finally went away. But the App Block needs working on. Ah, no problem. I believe this is the topic you were looking for. Hopefully they'll be able to resolve the problem for you.